Challenges associated with growing apples and pears in warm weather could be a thing of the past, thanks to a range of new cultivars soon to be made available to fruit growers worldwide. The product of the Hot Climate Programme (HCP), the cultivars have been specifically bred to tackle issues around sunburn, colour and firmness commonly associated with the warming global climate. 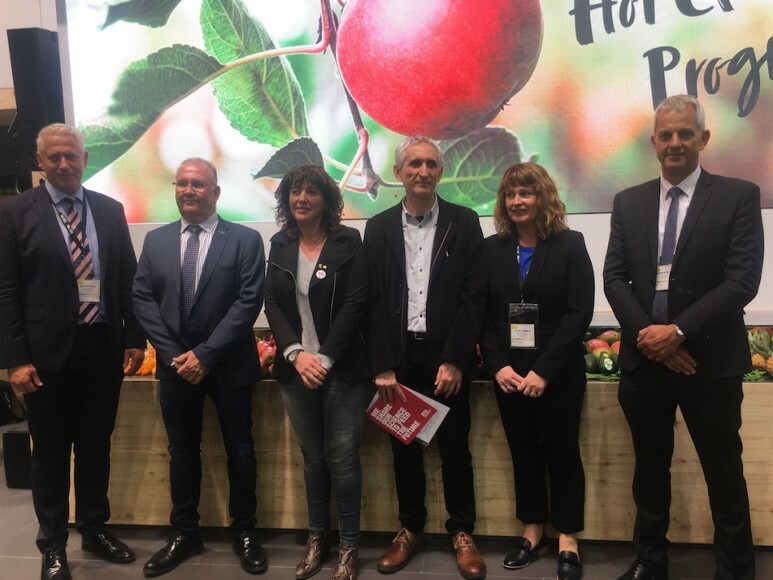 In a deal unveiled on the opening day of Fruit Logistica 2019 (6 February), T&G Global has joined Plant & Food Research, the Institute of Agriculture and Food Research Technology (IRTA) and Fruit Futur as the exclusive partner for the commercialisation of the new cultivars. T&G Global has well documented success in bringing leading varieties to international markets, giving the New Zealand-based company confidence it can manage the commercial roll-out of these new offerings. “We have a long history with Plant & Food Research and a proven track record in bringing premium apple brands to the world,” said Sarah McCormack, director of category – apples at T&G Global. 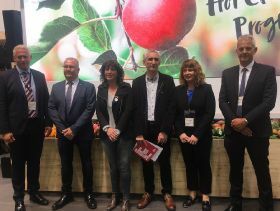 The HCP was initiated by Plant & Food Research and IRTA in 2002 to address challenges being experienced by Spanish growers, particularly those of the Catalan region with traditional apple and pear varieties. 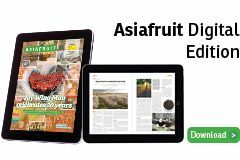 It was quickly recognised that other apple and pear growing regions would begin to experience these issues as the global climate continued to change, and that varieties developed for these niche environments would be in increasing demand worldwide. 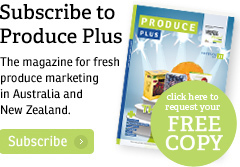 “As climates change, growers worldwide face a huge challenge from sunburn and colour-development issues with their fruit, to increased pests and diseases which can influence fruit in the orchard and post-harvest,” McCormack explained.